The studio gets a coat of fresh paint. We have been so busy here at the studio in the last couple of months and finally its quite obvious to see why! With 2011 starting in such a dramatic way, we never got around to giving the studio the makeover we originally had planned. But with 2012 starting a little bit more calmly, we were able to put our time into cleaning, painting, refurbishing and creating a completely new inspiring space. 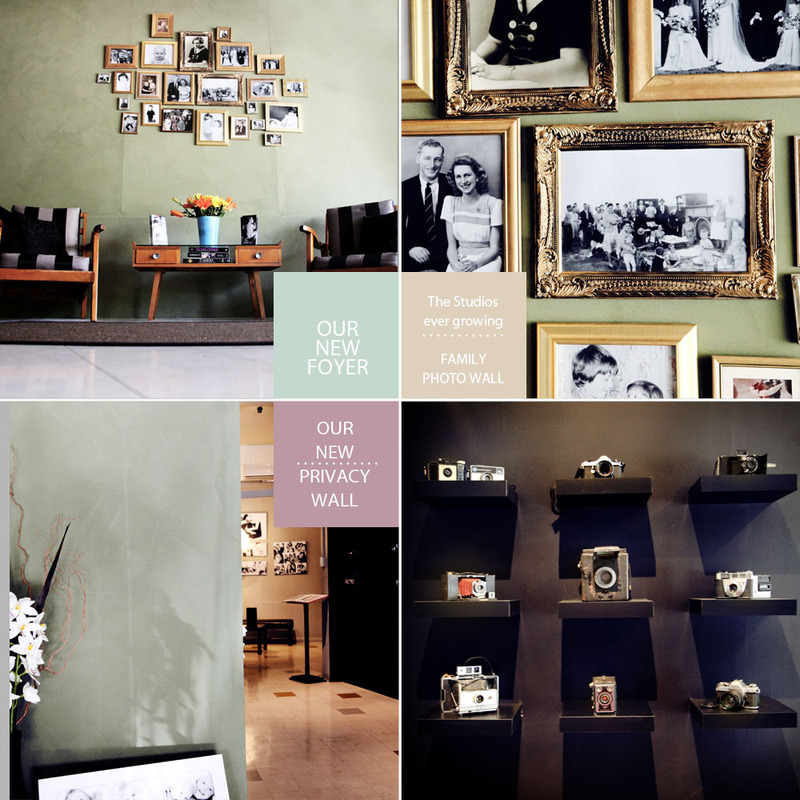 We have added some many new little details and personal touches starting with our vintage camera wall. My family and friends have been collecting these camera for me for years and it was time to get them up, and on display. We have also incorperate our love for vinatge furniture and Flowers….. so it feels just like our homes. 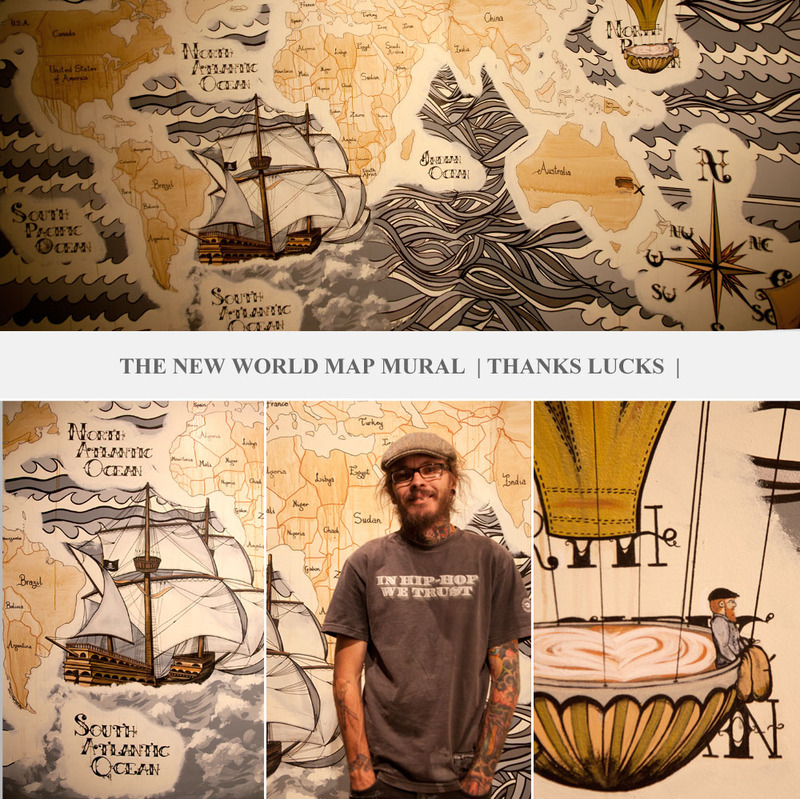 To make it really feel like home, it was also time to get my husband Lucks*, to come back in and redo the Mural space we have out in the studio. It didn’t take too much arm twisting and with a few little suggestions he came up with this beautiful masterplan. After quite a few long night of painting and lots of delicious coffee, we are now waiting with antisipaction to photograph against it. It sits very nicely with the studio vibe!